NUOVA Scatola portafusibili Land Rover Defender 90 110. Junction box complete with cover as pictured! Wolseley 10. 12 and 14 1946-48; 25 1948; 'Six Eighty' 1949-54. Rover 'Landrover' and Station Wagon 1948-54. 1946; 35/40,45/55, 60/70 cwt. 5 ton, Tipper and ECVI3/3 1946-48; CV Ambulance 1947-51; CVFI3/5, CVIl/30, CVII/40 (Lorries), CV9/40 and CVIO/5 (Tippers) 1946-51; ECVI3/5 and ECV013/5 1949; FV, FVS, FVSI2/5 and Petrol Tanker 1949-55; FVO, FVSO, FVS012/5 1949-55; OP and PP Passenger 1950-51; LDO, LDOI, LD02 and LCFO 1956-60; 2/5 ton Series III 1956-6~; Series IVFG 1960; 5 and 7 ton Series IVFF and Tankers 1958-60. Land Rover Series 2a genuine new Lucas fusebox complete with cover as pictured! Reliant 12 volt 'Regal' Car only 1959-60; 'Regent Four' Van (Export only) (later) 1960. Rover 3 litre 1959-60. Rover 3 litre 1960. 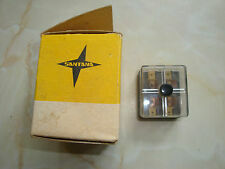 This is a GENUINE Land Rover part produced for the Santana assembled Land Rovers. 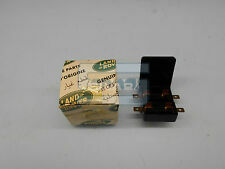 Land Rover Series 3 genuine new Lucas fusebox (575395) complete with cover as pictured! Land Rover Series 1 & 2 Quality Reproduction Lucas Bulkhead Junction Box & Cover with Lucas lettering moulded on. Suitable for Defender vehicles from VIN XA159807 (1999 - 2006). LAND ROVER - Above & Beyond. LAND ROVER DEFENDER 1983 TO 2006. FUSE BOX BOLT. PARTS COLOUR MAY VERY DUE TO MANUFACTURE PRODUCTION. 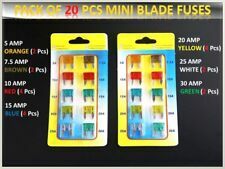 PART NUMBERS ARE FOR REFERENCE ONLY AND DO NOT IMPLY THE MANUFACTURER. ALL SPECIFICATIONS ARE SUBJECT TO CHANGE. 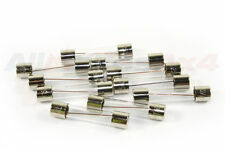 A ir C ompressor Fuse 30 Amp. UK Mainland Orders. Recovery 4x4 are authorised distributors for Allmakes 4x4, Bearmach and Britpart Land Rover parts and accessories. Highlands & Islands. Cancellation Policy. Reference OE/OEM Number 575395. Fusibili & dash disponibile anche, set di viti di fissaggio vedere altre nostre inserzioni! Part Manufacturer Lucas. Other Part Number 606253. Manufacturer Part Number 37564. Land Rover Series 1/2/2a genuine new Lucas fusebox complete with cover as pictured! 2x MTC9968 Fuse Box Screws. Part Number: MTC9968. 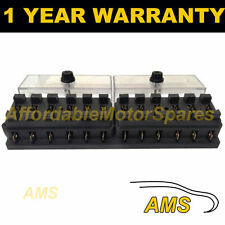 Land Rover Defender New Fuse Box Cover Screws (x2). Land Rover Defender, (1983-2006). Defender Parts. Series 2 & 3 - Defender 90/110/130, Discovery 1,2,3,4,5 & Sport - Freelander 1 & 2 - Range Rover Classic, P38, L322, L405, Sport & Evoque. Part Manufacturer Number 505158. Reference OE/OEM Number 505158. Other Part Number 505158. Rover 3 litri 1959-60. Rover 1960 da 3 litri. Part Manufacturer Lucas. Morris 'Oxford' serie V 1959-60; Camion di serie di IVFG 1960. Land Rover Defender - 1983>2006. FUSE BOX COVER SCREWS SCREW SET. UK Mainland Orders. Recovery 4x4 are authorised distributors for Allmakes 4x4, Bearmach and Britpart Land Rover parts and accessories. Il set di venire con 8 x 8Amp 6 x 16Amp 4 x 25AMP 2 x 5 amp. Qui abbiamo un set di 20 mini lama del fusibile per il vostro Land Rover. Il set di venire con 4 x 7.5 amp, 4 x 10A, 4 x 15amp, 4 x 20amp, 2 x 30amp. Aggiungi ai preferiti. 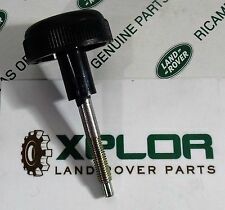 (Land Rover Part Number : MTC9968. 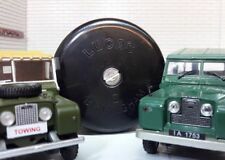 for theLAND ROVER DEFENDER. Fuse Box Cover Screw. GENUINE LAND ROVER. This will slow down the dispatch of your parcel.). We normally need 1. Part Manufacturer Number 219078. Reference OE/OEM Number 219078. Other Part Number 219078. Part Manufacturer Lucas. Part Manufacturer Lucas. Classic Car Part Yes. Part Manufacturer Lucas. Manufacturer Part Number 54038068. Rover 'Land Rover' e Station Wagon 1948-54. Litro di Jensen 3,75 1946-47; 1950-55 da 4 litri. 10 di Wolseley. 12 e 14 1946-48; 25 1948; ' Sei ottanta ' 1949-54. Part Manufacturer Number 219078. HRG 9 & 12 1946-50. Part Manufacturer Lucas. Vedere altre nostre inserzioni per una gamma completa di pezzi di serie sfuggente. Model: 2007 Landrover Range Rover MKIII L320 Sport HSE 3.6 TDV8 Automatic (model 2002-2012). Drive side: right-hand drive. Paint code: java black. Body: 5-door SUV, facelift model 2006-2012. LR Parts Ltd è un autorizzato Bearmach distributore, ci siamo specializzati nella nuova Land Rover Ricambi, set di bulloni in acciaio inox per Land Rover e generale Manutenzione parti. Componenti Genuine Bearmach alta qualità. Part Manufacturer Lucas. Vedere i nostri altri elenchi per ulteriori parti di serie sfuggente. Classic Car Part Yes. Manufacturer Part Number RTC4482. Other Part Number GFS5. Other Part Number 188206. 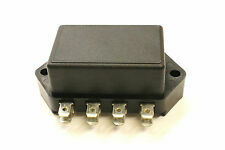 Manufacturer Part Number AMR5718. Vedi i miei altri elenchi per altre varianti di questi decalcomanie e una gamma completa di sfuggente Serie & Defender Land Rover parti ed accessori. Classic Car Part Yes. Manufacturer Part Number 12738. Other Part Number GFS3035. Other Part Number 188218. Other Part Number 168-308. Other Part Number 146-700. LAND Rover-LUCAS-Scatola dei fusibili per serie 1. The original box has the Lucas Part Numbers on it – but we believe the Land Rover Part Number is 219078. We believe this is a GENUINE Fuse Box for the Series One, fitting both the 48 to 53 and 54 to 58 vehicles. COPERCHIO TAPPO COVER FUSIBILI YQH000180. Land Rover Freelander td4 Sport 3P 2004. GENUINE LAND ROVER FREELANDER FUSEBOX COVER. PART NUMBERFLC100971LPR. Reference OE/OEM Number AMR5861. Manufacturer Part Number AMR5861. Vedi i miei altri elenchi per altre varianti di questi decalcomanie e una gamma completa di sfuggente Serie & Defender Land Rover parti ed accessori. Mk1 2.5 Petrol Auto 5 Door. LAND ROVER. This part was removed from a Right Hand Drive Vehicle. Compatibility is a guide only. Your item will need to be signed for. TRIM LEVEL. Part Number. Land Rover Discovery 3 petrol models. SCATOLA PORTA FUSIBILI. LAND ROVER. SE AVETE DUBBI SCRIVETEMI! FORMULA VISTO PIACIUTO. Part Number - YQE500290. Here We Have a Genuine Land Rover Fuse Box Assembly. 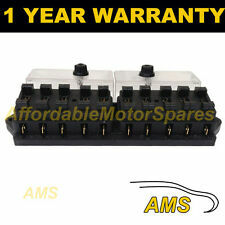 Suitable For the Range Rover 2002-2009 Models From VIN 5A00 To 5A99. UK Non-Mainland - DPD Highlands and Islands is used for the rest of the UK (inc. ). Quality precut self adhesive decal on premium grade vinyl. 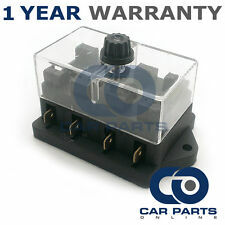 This listing is for a used part This Interior Fusebox is from a 2002 Discovery 2 TD5 Please match current part number of YQE000250 as shown in photo. COPERCHIO TAPPO COVER FUSIBILI YQS000282. Land Rover Freelander td4 Sport 3P 2004.